You are here: Home / Jobs / Are You Using LinkedIn as Effectively as Possible? It’s no secret that of the “Big Three” social media offerings — Facebook, Twitter, and LinkedIn — I’m the biggest fan of Twitter. My LinkedIn profile, if we’re being totally honest, is a little desultory. It has most of the basic information, but I hardly ever use the site and typically accept any request that comes my way without a lot of thought. And, in theory, there’s a group associated with The Girl’s Guide to Law School (which — who knew! — actually has people in it), but I don’t do much anything with it. 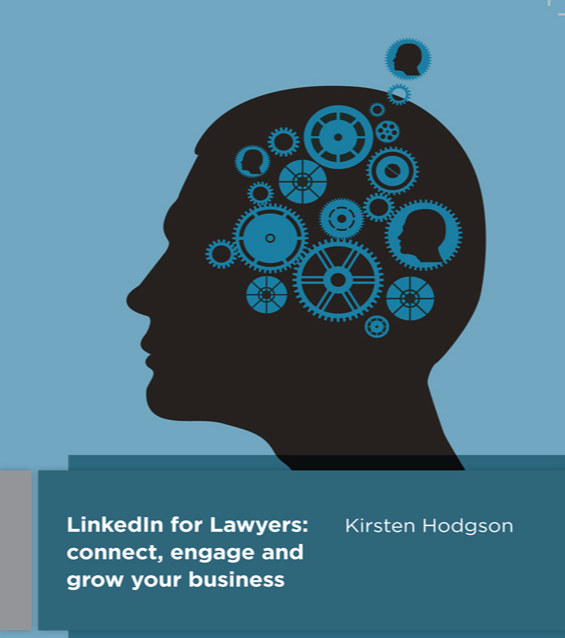 So, when the offer came in to review LinkedIn for Lawyers: Connect, Engage, and Grow Your Business, I jumped at the chance to learn more about how lawyers (and law students) can use LinkedIn effectively. And I wasn’t disappointed! Here’s why. 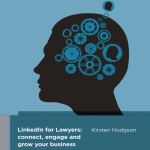 LinkedIn for Lawyers is written by Kristen Hodgson, a legal marketing specialist with extensive experience helping lawyers attract and retain their ideal clients. This background infuses the book — which is more than just a “here’s how you do X on LinkedIn” approach. Instead, she explains how to think about your overarching social media strategy — of which LinkedIn is one small part. If you’re new to social media and content marketing, the chapters explaining the basics of curating content, sharing it with your network in a helpful way, and doing so in a time-effective manner will be invaluable as you start to build your online brand. I often hear from lawyers, and lawyers-to-be, that they know they need to be more active on social media, but they’re afraid of saying something stupid or wasting a lot of time. The first three phases are covered in extensive detail (I learned a lot) with screenshots and explicit instructions that will be helpful to newbies and more advanced users alike. The final two phases were interesting, but could have been a little better developed, since the “online to offline” leap is critically important but challenging for many attorneys! Throughout the book, Kristen does an excellent job of balancing the needs of new users, who might need a bit of hand-holding, with the more established users looking for ninja-level tactics. Even if you’re reluctant, initially, to reach out and invite people to connect, there are still tons of useful ways to use LinkedIn to collect competitive intelligence, do research, and stay up-to-date with breaking news and insights in your areas of interest. After reading LinkedIn for Lawyers, I’ve resolved to spend a bit more time on LinkedIn, ramping up my own groups, participating actively in other groups, and maybe even reaching out to a few people and sharing some status updates! Did you find this post helpful? Join our mailing list and we’ll send you lots of other great stuff! Looking to Stand Out from the Pack? Start a Blog! Got questions about LinkedIn? Leave them in the comments! Thank you for sharing this. 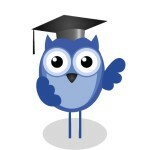 I am a big fan of Linked In as it has helped me get tutoring jobs as well as interviews. I’ll look into this book. I have presentations coming up for different groups about Social Media and Ethics and this may give me additional ideas for the presentation. It’s a useful book. I made a few changes to my profile with new projects, etc. and have had several people reach out with congratulations, etc. So, I guess the advice works! Thanks for the great book review, Alison. I am planning to order this book for our office. I completely agree that the students have to establish their on-line presence early in their law school careers. I am looking forward to reading it! Excellent, I’m glad to hear it!